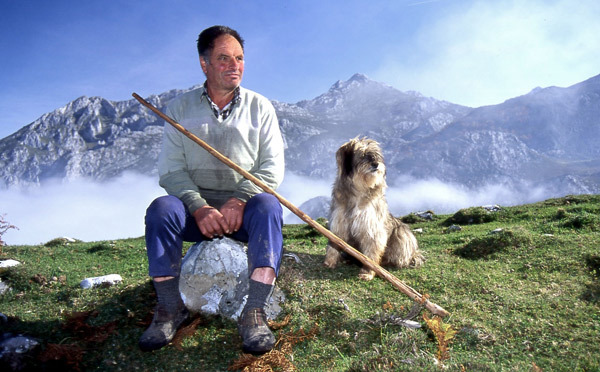 In 2004, looking at the dramatic decrease of shepherds in the Urrielles Mountains, northern Spain, and the interest of young people from the city in countryside living, I proposed the creation of a Shepherd´s School. That year I stayed with a shepherd to test the training system and I have organised yearly courses since then. Young people interested in the trade but lacking previous experience can learn directly from seasoned shepherds, sharing quarters in the mountain cabins from June until November, sheperding flocks composed of goats, sheeps and cows and transforming the milk daily into cheese. Over one hundred students have passed through the school so far. This artistic intervention from an agroecological perspective, involves an immersion in the issues faced by the local shepherd community, and a joint search for solutions to allow for the survival and acknowledgment of their way of life. It focuses on desires and expectations produced by romantic notions of the rural, as a kind of Neo-Pastoral genre artwork, as well as engaging with current political considerations in landscape and space management. First, Economic. Improvement of conditions in living quarters and places of production. This is achieved by the re-design and reconstruction of cabins for basic shelter in the mountains and construction of cheese making ateliers combining modern technology with traditional architecture. These facilities are free and for the collective use of the shepherds. A sub-project developed to help protect sheep from predators also connects the latest technologies with traditional activity. The Bionic Sheep is a portable device to be worn by the sheep instead of a bell, fueled by a small solar plate which emits ultrasound waves in a frequency that repels wolves, and a GPS locator that sends an SMS signal to the shepherd's PDA to keep him informed of the movements of the flock. Second, Socio-political. Supporting the establishment of a livestock farmers' and shepherds' association from which to advocate common aims and proposals. Contributing to and promoting awareness of the crisis of the rural environment and activism related to it. Design of the association's logo. Promoting its integration into the Spanish Shepherds Federation (FEP) and the World Alliance of Mobile Indigenous Pastoralists (WAMIP). Third, Cultural. Encouraging the recognition and value of the shepherd's activity by means of a cultural strategy, with the publication of a book featuring photographs and testimonies of shepherds, the organisation of a touring photography exhibition, cultural events in the region, and the Shepherds School itself. 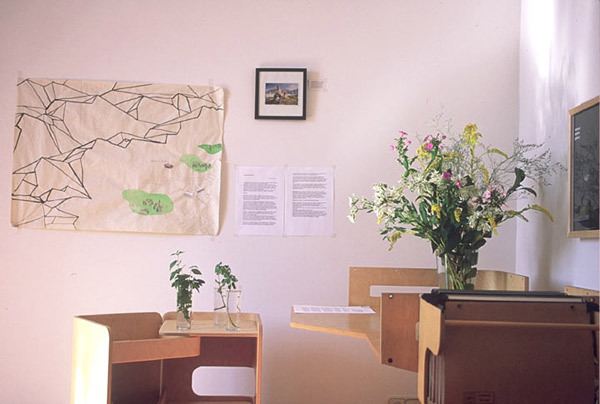 The whole project is materialised in the publication titled "A Shepherds School as Micro-kingdom of Utopia". And in an instalation with the same title. Guards in uniform impose a new order. Two million tourists arrive every year, driven to a building with an artificial forest and cardboard goats. An agro-ecosystem more and more degraded, far from shepherds management. Hundreds of stone handmade huts abandoned. Seven shepherds, four shepherd- teachers , four young pupils, one artist = a shepherds school. Four cheesemaking ateliers and three huts rebuilt and renewed in former ruins, free to be inhabited, used by who would want to live, produce, create landscape. Elements arranged as a scale model. Every year people apply for the school, called by an image: the pastoral. Solitude, nature, simplicity, nurturing, wilderness, animals, time, rocks, sky, fire. Only four selected by the shepherds. Five months to live with them. Master and mentored alone, very day, every hour. Facing the ideal, the utopia. Finding the promised land, living on it. In september, the course finished. After the graduation ceremony, tired body, worked hands, and one is left with the choice of commitment, the real pastoral. Maps of the place, paper 3m x 1,5 m, representations of the space in different languages, from the subjective to scientific coordinates. Legal documents: Regional government approval and support to the Shepherd School . Through it, a will is materialised, and order is given, funds secured, the world is transformed. From the good intentions of the avantgarde into the realisation of change. Also, the signed membership documents, diplomas, press notes, official texts as the statutes. This documents are for me a form of "total artwork". Pictures: representations of the pastoral nowadays, images that please both the cultural elite and the popular esthetics. Furniture: designed ad hoc to be in the new shepherds hut: cultural investment in the excluded, exclusivity as tool for changing perceptions, creative functionalism. Video: The explanation of the project seen by a main channel TV crew, a "televisioned utopy", the pastoral of the neo-pastoral. Scale model of the huts [ Any pursue of utopia and its projection in the world will ultimately suppose a mode of control, a forced act, repression and imposition, taking subjects as things. What we yearn today from peasant cultures is based in our reading of yesterdays organic evolutions, based on covering basic needs and surviving through cooperation and consensus, in highly organised states as the management systems of commons.